Cook’s evaluated thermometers on the criteria of accuracy, speed, ease of use, and durability. They cited the Mk4’s accuracy, speed, long handle, automatic backlight, rotating screen, auto-wake feature, waterproof design, and the ability to recalibrate as qualities that put this unit at the head of the class. In the Recommended category, Cook’s suggests the OXO Good Grips Thermocouple Thermometer at $99.95, the Lavatools Javelin PRO Duo at $49.99 (the Best Mid-Price Option), and the ThermoWorks ThermoPop at $29 (the Best Low-Price Option). In the Recommended With Reservations category, Cook’s listed the Lavatools Javelin at $24.99 as a fast and accurate unit, but severely limited by its small handle and short probe length. Yes, when it comes to instant-read thermometers…size matters. So for the best instant-read thermometer money can buy, get the Thermapen Mk4 at Thermoworks.com. I’ve been a satisifed Thermapen user since 2001 and I can tell you from personal experience that Thermapen is worth every penny! I use it for grilling, barbecuing, and cooking and baking in the kitchen. I even used it recently to measure the heat output of my newly installed household HVAC system. 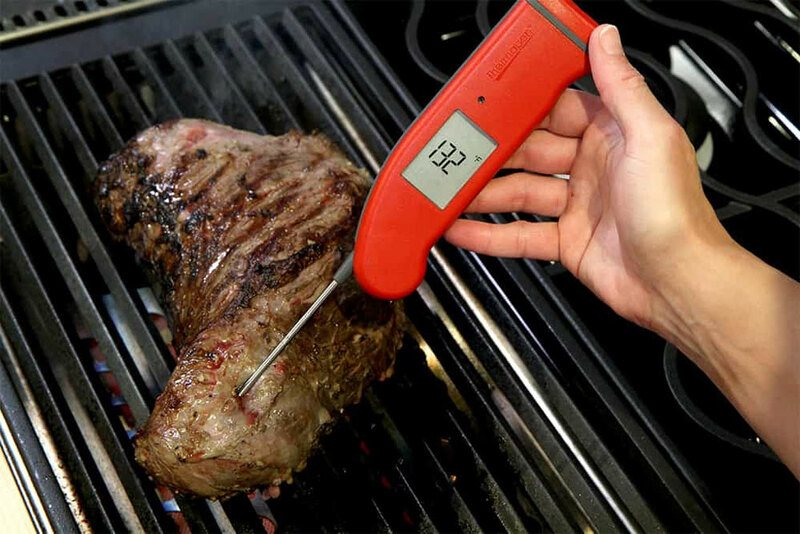 Thermapen is a truly versatile tool!